The first structure built in Santa Fe after its founding, the Palace is the oldest public building in continuous use in the United States. It served as the capitol until after the 1860’s. Beleaguered Spanish defended themselves in the Palace during a 10-day siege in the Pueblo Revolt of 1680. The first American to see Santa Fe, Zebulon M. Pike, was interrogated as a spy there in 1807. Confederate forces used the Palace as their headquarters for a few weeks in 1862 and Territorial Governor Lew Wallace wrote most of Ben Hur there during his term from 1878 to 1881. The Palace, or El Palacio as it’s often called, was transformed into the main structure of the Museum of New Mexico in 1913 and is now a history museum. Like the Santa Fe Plaza, the Palace was made a National Historic Landmark in 1961. The Chapel of San Miguel is the oldest church in Santa Fe. At Old Santa Fe Trail and De Vargas streets, about two blocks from the state capitol, San Miguel was originally built in 1626, although nothing of that building remains. The Pueblo Revolt began, it is said, with the burning of San Miguel. The chapel’s sculpture of San Miguel, the church’s patron, was carved in Mexico in 1709. In 1710, the chapel was completely rebuilt. Later, in 1859, Archbishop Lamy and the Christian Brothers of Santa Fe bought the chapel, and it became a part of Saint Michael’s College. The Barrio, or district, of Analco is the oldest European settlement in Santa Fe other than the Plaza and the Palace. 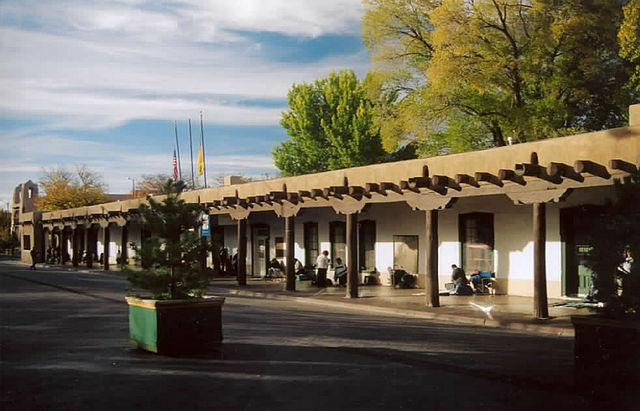 It is on the south side of the Rio de Santa Fe and is the area now occupied by the state capitol, Pink Adobe restaurant and San Miguel Chapel. Analco is a Mexican Indian Word meaning “other side of the water.” The Barrio was first settled by Mexican Indian mercenaries and Spanish colonists in the early 1600’s. Located on Agua Fria Street, the Chapel of Our Lady of Guadalupe is thought to be the oldest shrine to the Virgin of Guadalupe in the United States. It was built in 1795. When the railroad arrived in 1880, Archbishop Lamy dedicated the chapel to non-Spanish speaking Catholics. 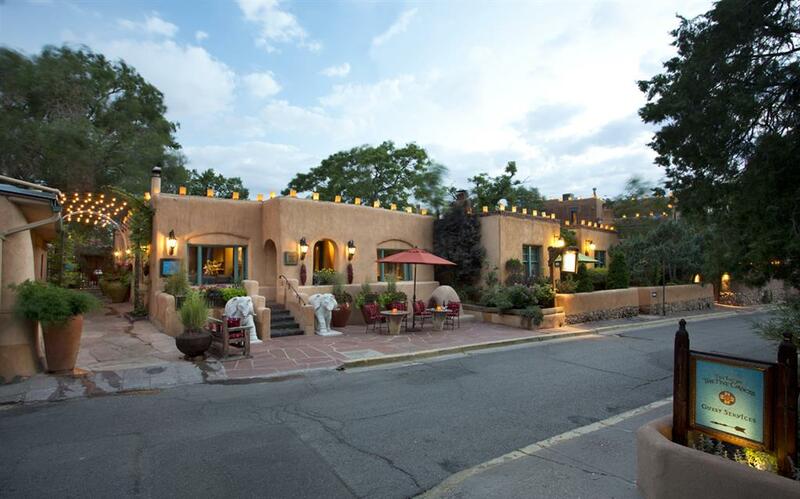 Just north of the Santa Fe Plaza, Sena Plaza on East Palace Avenue is one of the most beautiful and secluded historic sites in Santa Fe. Once the central court of a large hacienda of 33 rooms, the plaza area has been transformed into an intimate and contemplative garden. Sena Plaza, as it exists today, was probably first built in the 1860’s. The land has been owned by the Sena family since the conquest. When the territorial capitol burned in 1892, the ballroom in the Sena Hacienda housed the legislative assembly. 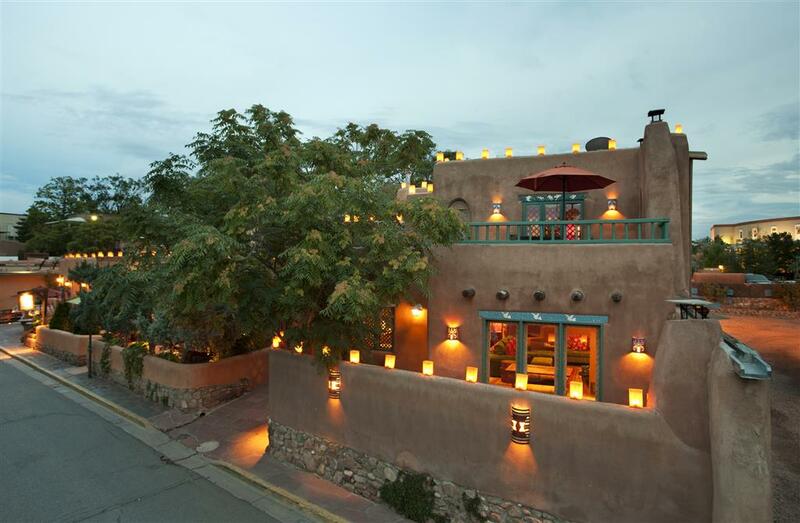 In 1927, Santa Fe artist William Penhallow Henderson added a second story to the hacienda. 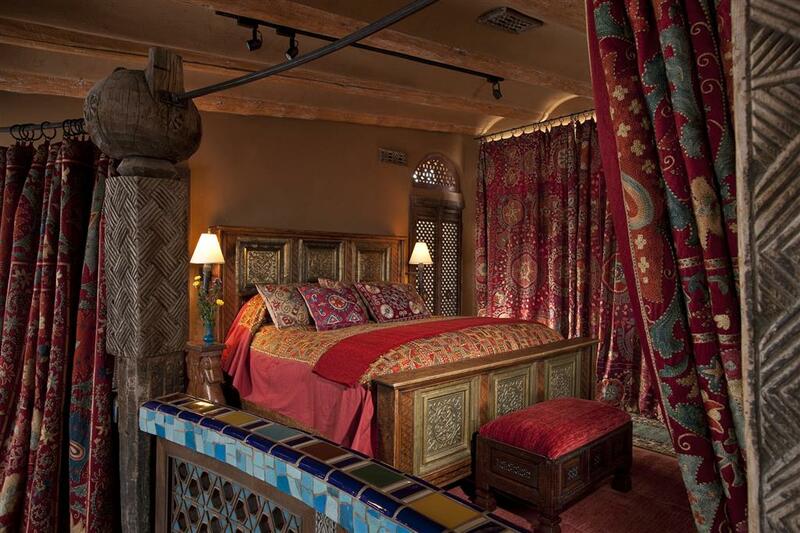 This remodeling is often cited as a classic example of how a historic building can be adapted for modern use. The crowning achievement of Archbishop Lamy’s church construction in New Mexico, Saint Francis Cathedral, is just north of La Fonda Hotel. 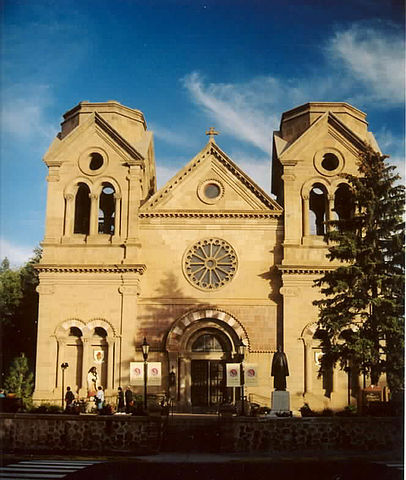 Built in 1869 and designed in the French Romanesque style, the building is alien to the Spanish heritage of Santa Fe but is still one of its greatest landmarks. Constructed on the site of a church that was destroyed in the Pueblo Revolt and replacing a later adobe church called La Parroquia, Saint Francis Cathedral was built of stone from local quarries and from the La Bajada Mesa, west of the city. Portions of La Parroquia remain in the form of the Chapel of Our lady of the Rosary, which houses a wooden statue of the Virgin known as Our Lady of Peace. The statue was first brought to Santa Fe in 1625 and was returned to the city by the armies of Don Diego de Vargas during the re-conquest of 1692. 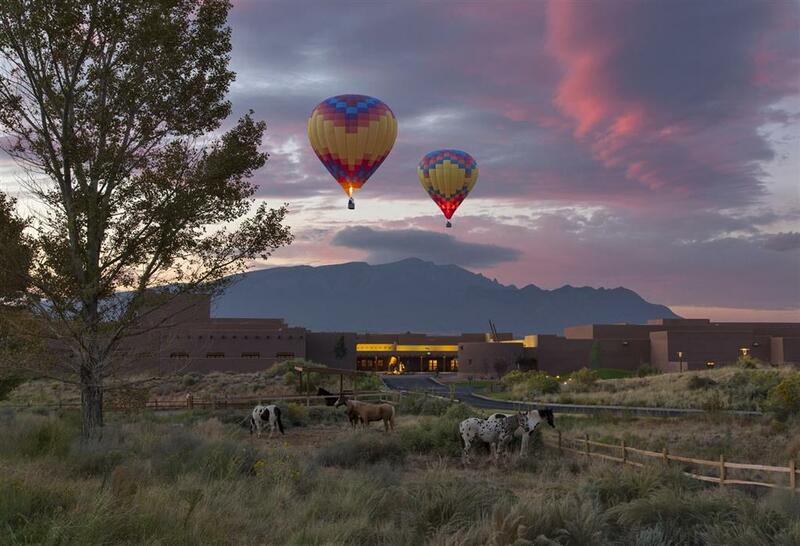 Of the 19 Native American communities located in New Mexico, eight are near Santa Fe. 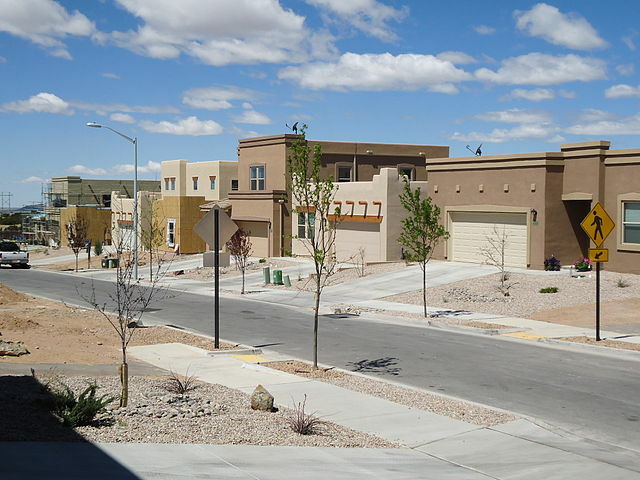 All eight are Pueblo Indian tribes and their communities are referred to as Pueblos. 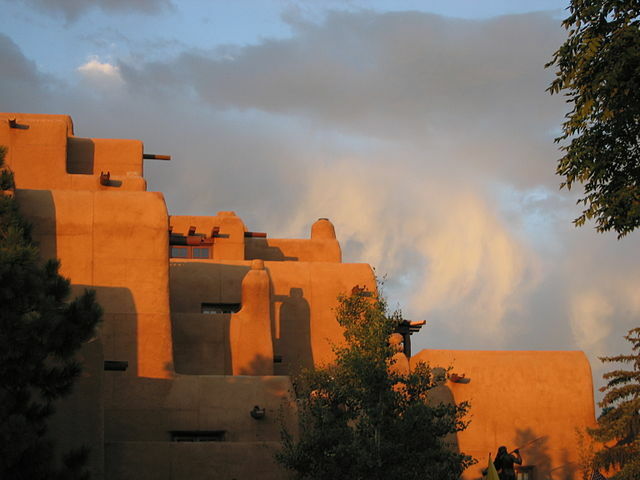 Many of these Pueblos were established centuries ago such as the Taos Pueblo which is thought to have been continuously occupied for close to 1,000 years. Each Pueblo has its own tribal government, traditions, ceremonies and is a sovereign and separate entity. The Pueblos typically welcome visitors and much can be learned about Native American culture by visiting the Pueblos, especially during the specific dances and feast days open to the public.